GTbank has sent out notifications to their customers informing them on early closure of all GTBank banks across the country today being the 30th of June 2016. As detailed in the notification mail, this is to enable GTBank branches to complete their half year audit exercise and with respect to that, their Lagos branches will be closing by 3PM today, while other GTBank braches outside Lagos are expected to close earlier by 2PM. 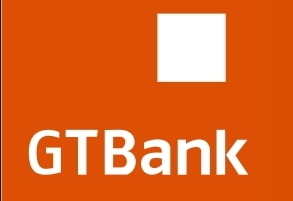 However, the message suggests that all other GTBank service channels outside the baking hall will still be available for customers to carry out their banking transactions. Channels like internet banking, ATMs and Mobile banking apps are not affected by this early closure as customers are directed to use these means for their continuous transactions. GTBank customers that most carry out banking transaction inside the banking hall today should make sure they do so before the stipulated early closing hours. You have finished reading GTBank Branches Are Closing Very Early Today, See Why and many articles about Tech Gallery in our blog this, please read it. and url link of this article is https://littlebitjohnny.blogspot.com/2016/06/gtbank-branches-are-closing-very-early.html Hopefully discussion articles on provide more knowledge about the world of new tech gadgets.